3 Generations and Going Strong ! guns for use with flashbulbs. Soon realizing the need for reliable sync cords, the company began adding these to its line; with the changing times and the growing use of electronic flashes over flashbulbs, the company eventually discontinued its flashguns. By the early 1950’s, Herman Fisch was dedicating his efforts to making a better sync cord. His philosophy was to produce a heavy duty sync cord geared to serious photographers, and to offer a full range of configurations to fit the wide variety of cameras and flashes of the period. The company name changed to Fisch Manufacturing Co.” and the sync cords were known as Fisch Cords. The newly-named company expanded into vacuum forming, injection molding of plastic parts and government work. Herman Fisch died in 1962 and the business was taken over by his son-in law, Ralph Rosenkranz. The company changed its name to Paramount Plastics Company, moved to Burke Avenue in the Bronx, and manufactured sync cords along with a line of professional flash brackets. 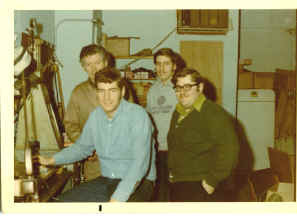 As business grew, the company moved into larger quarters; The company was incorporated as Para-Mount Cords and Brackets Inc. and began offering metalworking and machine shop services along with its line of professional sync cords and flash brackets. In 1982, Ralph Rosenkranz died and his son Gary continued the business and enhanced the product line. Paramount’s steadily growing business required it to assume much larger quarters and the business relocated to 720 East 239th Street, Bronx, NY. This expansion allowed the company to set up a state-of-the-art in-house tool room needed for mold making and shop support, enabling all design work, mold-making and injection molding to be done under one roof. At the present time, Paramount, while maintaining dedicated to its core business of photographic products, has expanded into other areas including: insert molding, prototyping, short run injection molding, manufacture of computer adapters, medical & audio cables, cord sets and custom connectors. On September 30, 2010 Paramount became a division of Roanwell Corporation and relocated its operations to 2564 Park Ave., Bronx, NY. Through three generations, and over 60 years, many things have changed but one thing has remained constant: our sensitivity to our customers’ needs, our meticulous attention to detail, and our commitment to make only the highest quality products!